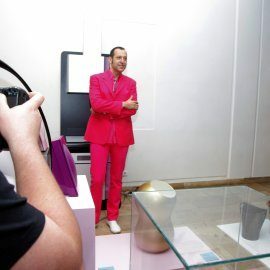 The New York star designer Karim Rashid visited Budapest on February 3rd 2011 to deliver an almost 90 minute public full presentation on his works to an audience of 600 at the auditorium of MOME University of Art and Design. 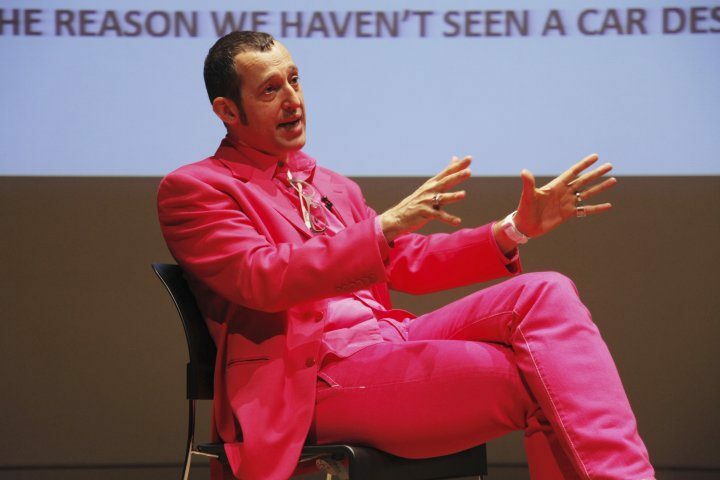 In his lecture Karim Rashid talked about how he became a designer and also gave an insight into his design manifest and the digital era. 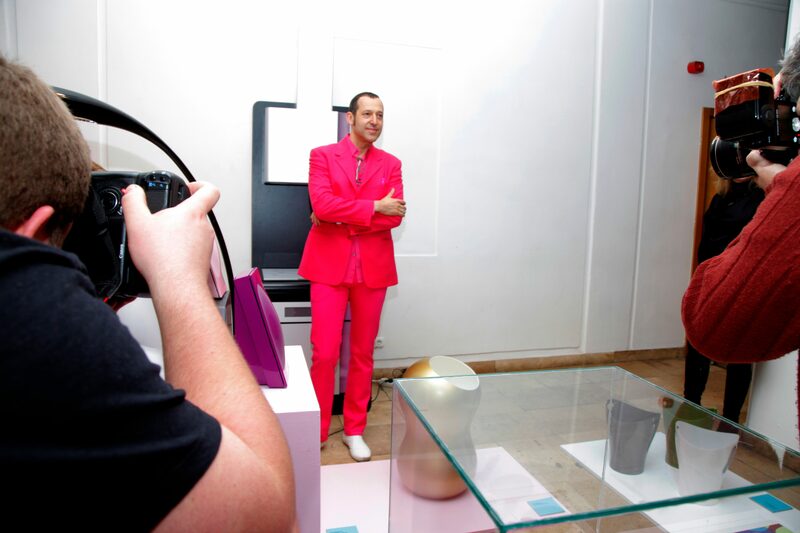 He also presented kitchen appliances set he designed for Gorenje. 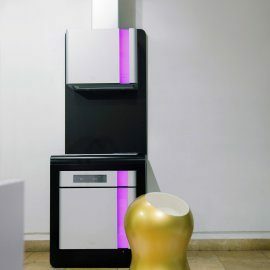 Collection Gorenje designed by Karim Rashid was also exhibited in the MOME Gallery between 2nd and 4th of February 2011. This brand new collection, comprising a built-in oven with HomeMADE technology, modernly designed kitchen hood, and cooking hob in alluring white with unique graphics is a minimalist fusion of functionality, technology, interactivity, and purity. The full length handle is the focal point of the collection, both in terms of appearance and interaction. 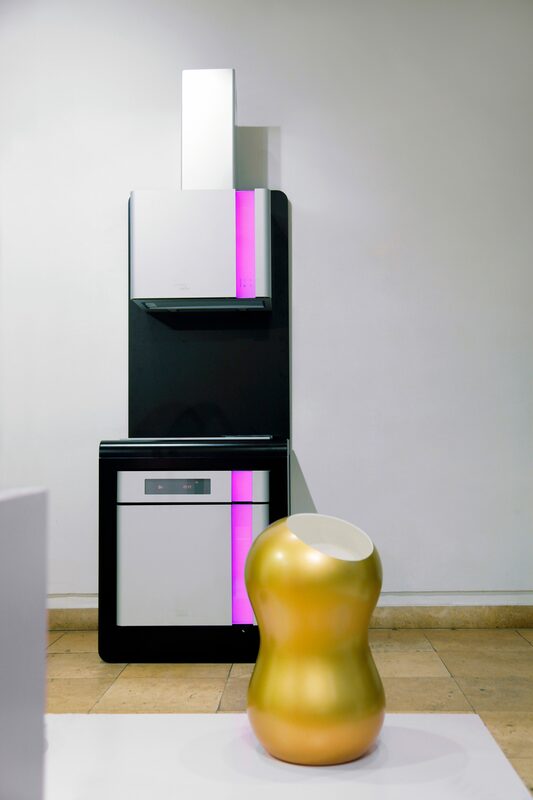 Using the innovative MoodLite technology, developed by Gorenje, the vertical LED light stripe allows several colour versions. Hence, Gorenje is the first home appliance manufacturer to offer a solution that allows the users to change the colour of their oven or hood exterior.